Please see below testimonials from some of our previous clients. In 2017 Davidson and Partners were involved in my appointment to the role of Chief Executive at Trivallis, one of Wales’ largest social landlords. I found their approach refreshing, honest and transparent throughout. I was very impressed by the rigor of their approach, and the overall quality of the information they provided throughout a long process. Initially through a lengthy telephone interview, Hamish Davidson probed intelligently and rigorously and pushed me, as a candidate, to be in depth and candid in my answers, as you would expect for an appointment of this type. Importantly the methodology and future timings were explained fully to me, and the follow up calls were made back to me as a candidate on time and in the manner in which I was told they would be. The feedback was insightful and thorough and played a critical part in my preparation for the final stages of the process and the assessment centre. Since in post I have had a number of further encounters with Davidson and Partners in order to assist my organization recruit a new Chair for the Board, and again the work has been of exceedingly high quality and has delivered exactly what was asked for. I see it as critical to approach and run a business with transparency, integrity and honesty, and these are clearly drivers for Davidson and Partners. I would have no hesitation in using Davidson and Partners again and would highly recommend them to others. 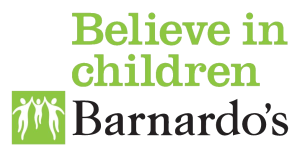 Barnardo’s used Davidson and Partners to recruit 7 trustees to their board, in two batches, over 12 months to December 2016. I chaired the appointment panel. We are very happy with the appointments we made. The search process was efficiently and effectively handled. 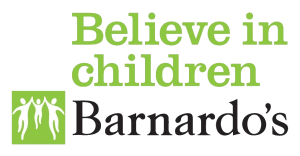 The firm spent a lot of time familiarising themselves both with Barnardo’s and specifically with the board of Trustees and our requirements. Their assessments of each candidate were comprehensive and accurate. The selection process was very well supported, including hosting the candidates’ interviews by some of our lively young service users – a talent in itself! The customer care was excellent with very happy candidates, both successful and unsuccessful. They persevered until we had several appointable candidates with diverse backgrounds for each of the skills set we required, and they nurtured some unlikely but promising candidates to put themselves forward. Each appointment has been extremely successful. They are all leaders in their chosen disciplines and have either ‘arrived’ or are recognised as “rising stars” because we wanted some younger trustees. 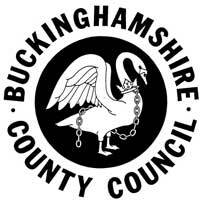 Above all, we were able to achieve a high degree of diversity in terms of age, ethnicity and backgrounds. Our overall experience of working with Davidson & Partners as a recruitment partner was extremely positive and we anticipate working with them again in the future. I have worked closely with Davidson and Partners for a couple of years now and have been highly impressed by their commitment to delivering a high quality service. Firstly, they provide very helpful and detailed proposals, which they then follow through on in terms of delivery and style. They live their values of providing high quality candidate care which is so important in terms of reputation of the employing organisation. They can be trusted to provide regular, detailed updates on their search activity and their candidate reports are second to none in terms of detail. The due diligence that is undertaken is also thorough, which again is critical in sensitive senior manager roles. Finally, they have taken on hard to fill roles and found appointable candidates in a tough market where others have failed.